Combine SAP Financial Consolidation on HANA with SAP Analytics Cloud to analyze your financial data in real-time. Answer complicated questions in just a few clicks – with real-time business intelligence capabilities in SAP Analytics Cloud. 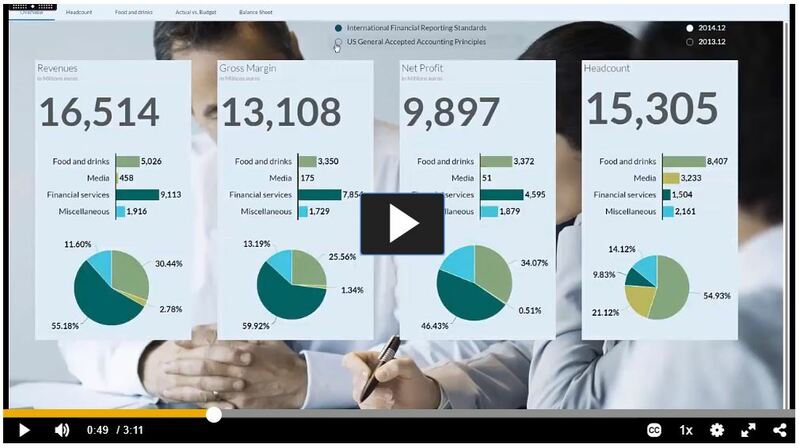 Our cloud BI tool can help you blend data from SAP Financial Consolidation, create compelling data visualizations, run ad hoc reporting, and more. You can build insightful data visualizations, business intelligence dashboards, and storyboards based on your consolidated data that engage and inspire your audience. Create clear, compelling business communications with help from best practices and proven standards for design. Use visual navigation to filter and drill into your data. Focus on the data you’re interested in – and get quick answers to your business questions. You can visit our SAP Help Portal to know more about SAP Financial Consolidation and SAP Analytics Cloud. Next Nov 8 – Are you ready for the new IASB/FASB regulations to bring Equipment Leases on to the Balance Sheet?